Just the cone height to release the right amount of fragrance;Available in many exceptional fragrances;For Pennies a Day its an affordable way to give any room a refreshing new scent. Febreze car vent clips eliminate vehicle odours so they're gone for good. Simply attach air freshener to air vents to begin slowly releasing freshness for up to 30 days. Intensity settings put you in the driver's seat, allowing you to select the perfect amount of freshness for you and your passengers. Don't give odours a ride. Eliminate them with Febreze car vent clips. On low and under ambient conditions. 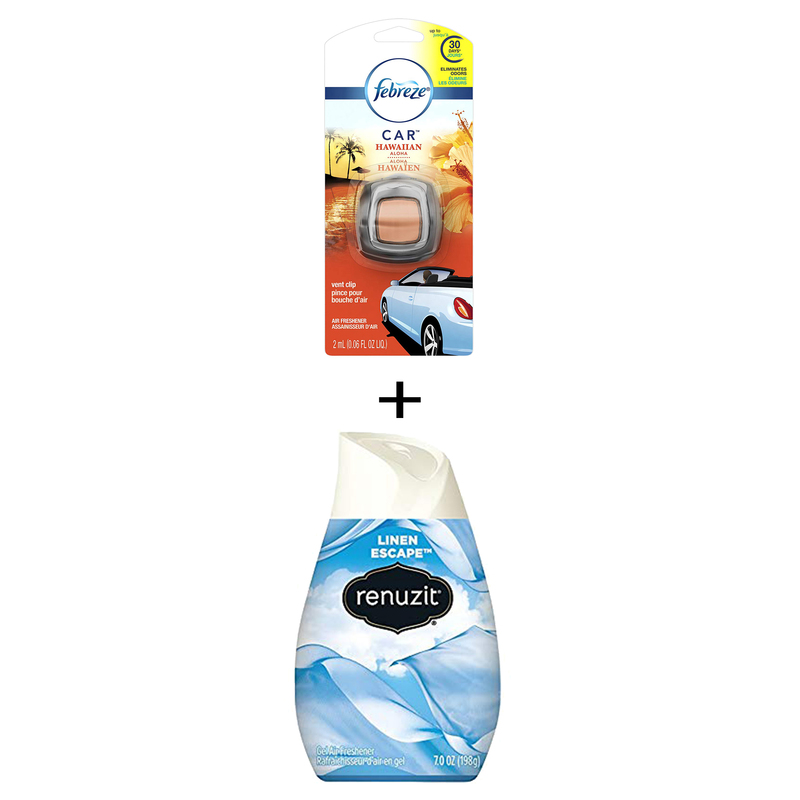 Renuzit Adjustables Air Freshener, Linen Escape, 7 Ounce. This is the combo pack of 3 product. A lush, tropical Hawaiian aloha scent.